Music streaming service Spotify is jumping into the podcast industry. The company announced on Wednesday that it has acquired Gimlet Media, the producer of popular podcasts "Reply All" and Crimetown," and that it has plans for more moves. "Today we announced that we have entered into definitive agreements to acquire two of the leading players in the emerging podcast marketplace," the company wrote in its earnings announcement on Wednesday. "We want to acquire more, and have line-of-sight on total spend of $400-$500M on multiple acquisitions in 2019." Podcasts have been available on Spotify since 2015, but the company had not been particularly involved with their creation or monetization. The acquisition of Gimlet, along with Anchor, which provides services to podcasts creators, puts Spotify on track to become a bigger part of the growing podcast industry. Spotify's entry into the podcast world comes as the company continues to build its business. Spotify is the world's most popular streaming service, but is competing with tech titans Apple and Amazon, which each have competing services. The company on Wednesday announced its first every quarterly profit, making about $96 million off total sales of $1.7 billion. It also announced that it now has 96 million paid subscribers. That revenue total was below Wall Street expectations. Spotify shares were down 5.3 percent in pre-market trading. 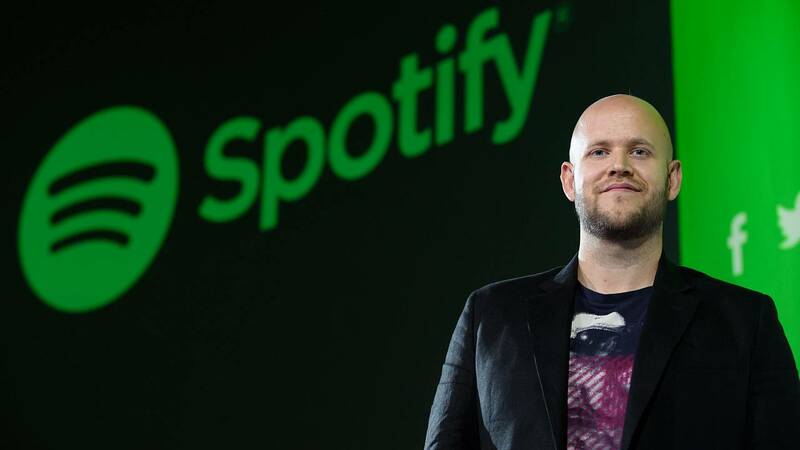 Spotify CEO Daniel Ek wrote in a blog post that he sees podcasts as a big part of the company's future as one of the leaders in audio and wrote that the company believes 20 percent of all Spotify listening will be "non-music content." Ek added that this will including Spotify producing original content, something it has dipped its toe into with video. The vast majority of the service's listening comes from its licensed music library. "This means the potential to grow much faster with more original programming — and to differentiate Spotify by playing to what makes us unique — all with the goal of becoming the world's number one audio platform," Ek wrote. "We are building a platform that provides a meaningful opportunity for creators, excites and engages our users, and builds an even more robust business model for Spotify in an industry we believe will become significantly larger when you add Internet-level monetization to it." The podcast industry will need to continue to grow to have a serious impact on Spotify's business. Podcasts generated an estimated $314 million in advertising revenue, according to the Interactive Advertising Bureau (IAB), which tracks online advertising. That number is expected to increase to $659 million by 2020, according to IAB projections.